Skoda has announced UK prices and final trim specifications for the all-new Scala hatchback. Set to arrive in the UK in the summer, Scala is derived from the Latin word for stairs, so the Czech manufacturer is obviously hoping the hatchback will be a *ahem* step up in the right direction for the brand in the compact hatch segment. Starting from £16,595, it features an evolved design language along with a host of all-new infotainment systems as well as engineering and safety innovations. “It is an all-new model that sets benchmarks within its segment in terms of technology, safety and design […] We’re convinced that the Scala has the best chance of redefining the A segment for Skoda.” stated Bernhard Maier, chairman of the board. Based on Volkswagen Group’s A0 MQB platform – the same as the latest VW Polo and T-Roc – it will replace the ageing Rapid as Skoda’s entry-level family hatchback when it arrives. 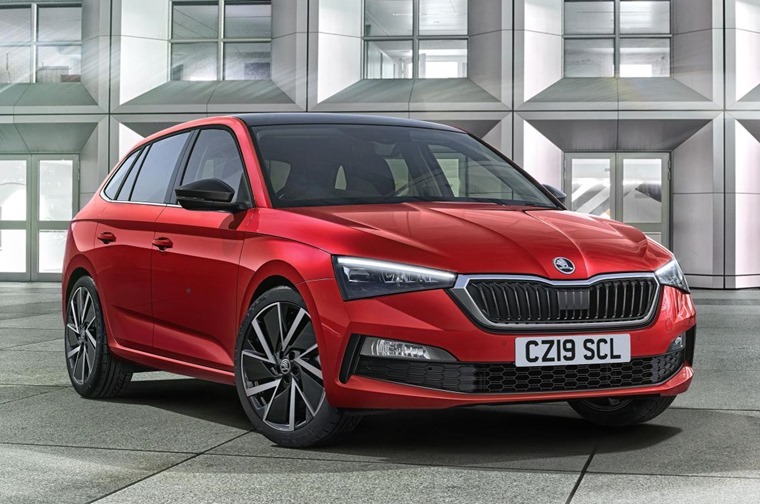 While this is a smaller platform than the Golf, Skoda’s new car will sit in the same segment between the Fabia supermini and the larger Octavia meaning it should be around the same size as the Volkswagen. Thanks to its long wheelbase of 2,649mm, the Scala offers sector-best levels of rear headroom. Its boot capacity of 467 litres (extendable to 1,410 litres with the rear seats folded) is also the most accommodating in the sector. Three engine options will be available to customers from launch (two petrol and one diesel) with power outputs ranging from 113 to 147hp. The petrol range consists of one 1.0 TSI unit with 113hp and a 1.5 TSI engine with 147hp. The Scala’s diesel option is a 1.6 TDI unit that generates 113hp. All engines are available with an optional seven-speed DSG transmission. A 93hp 1.0 TSI petrol engine will arrive later in the summer, available in manual only. The range consists of three familiar trim grades; S, SE and SE L, with all three offering high levels of standard specification. 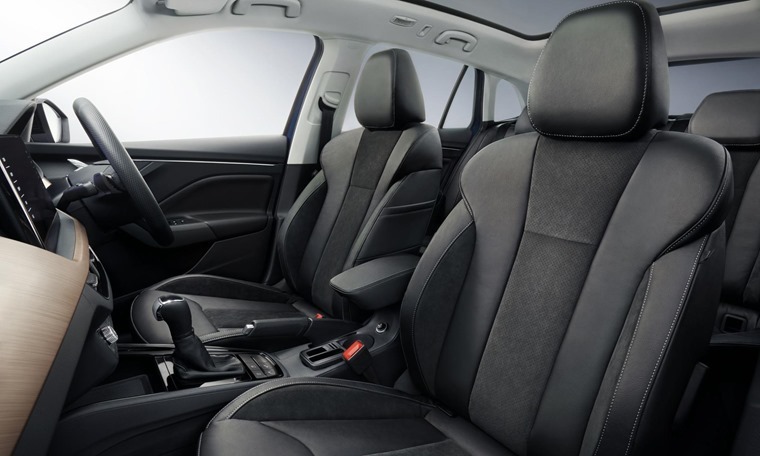 The entry-level S trim offers 16in alloy wheels, LED headlamps, leather steering wheel and a height adjustable driver’s seat. Air conditioning, DAB radio, electric radios and a 6.5in infotainment display are also equipped as standard. SE trim is priced from £18,580, adding cruise control, parking sensors, an 8.0in touchscreen and passenger seat height adjuster to the mix. The range-topping SE L trim is available from £20,380 and is fitted with a 9.2in touchscreen, climate control, keyless entry, start/stop, and a digital head-up display. Other additions include 17in alloy wheels, LED rear lights and tinted rear windows. 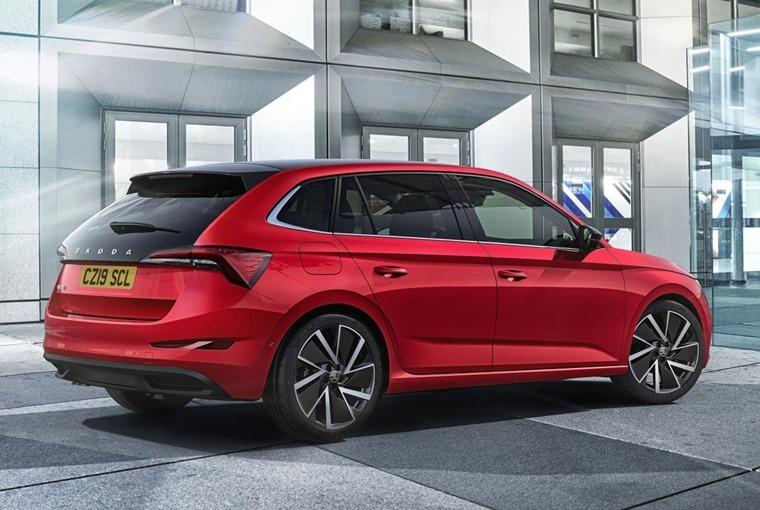 Using lots of new Skoda Connect mobile online services, the car can be locked and unlocked via a mobile phone and the infotainment system software or maps can be updated. Also featured are the Simply Clever features we’ve come to know and love from Skoda such as an electrically retractable tow bar, an ice scraper in the fuel cap, and umbrella in the driver’s door. With customer deliveries due to begin in summer, we’ll bring you lease deals as soon as they’re available.